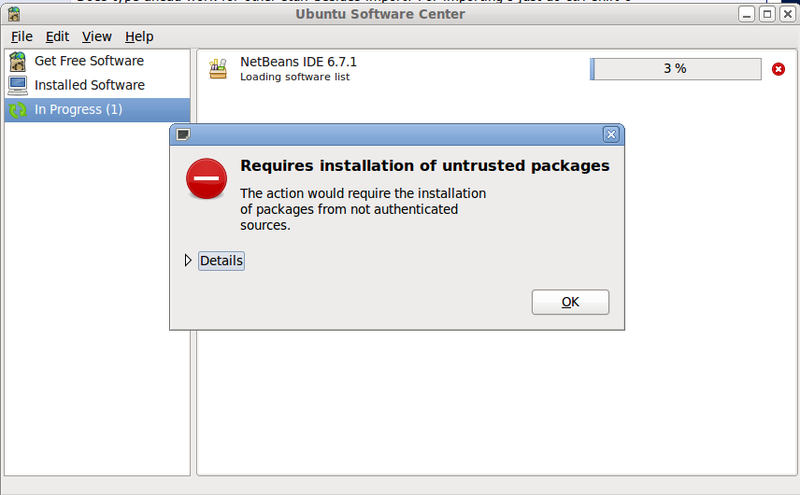 This is a common error with Software Center in nearly all the versions of Ubuntu. If you've not updated your repository index for more than 3-4 days and then you try to install some software, you see this error message as the index has expired in the mean time. 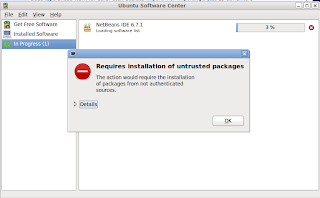 The installation doesn't succeed from Software Center, Synaptic or any other package manager including apt-get. To solve the issue, all you need to do is to run this command from a Terminal under Applications > Accessories sub-menu. Or you can fire up Update Manager from under System > Administration sub-menu and click Check. Once the update process is completed, go to Software Center, Synaptic or whichever package manager your want to use and your installation should complete successfully. Software Center and other package managers should automatically refresh the index and but unfortunately, it needs some work by the developers at Canonical.